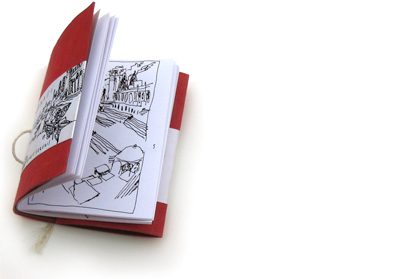 Varanasi is a graphic report about the ancient city of Benares. “The City of Light” is India’s most significant pilgrimage town. People from all around India come to Benares to get blessed for their wedding, to get cleansed or to die: Who deceases in Varanasi, is relieved from the Wheel of Incarnation. Varanasi, on the banks of the River Ganga, is the oldest living city in the world. 28 pages handbound booklet with original Indian sleeve, silkscreened edition.